Do "Google+ Shares" Influence Rankings? Do “Google+ Shares” Influence Rankings? Much emphasis has been put on optimizing Google+ profiles. Completing your Google+ personal (for personal branding) or business (for companies) information, implementing consistent design and branding in your Google+ profile, and increasing engagement through +1s and shares are considered best practices for improving SERPs visibility and rankings. However, a recent study proves that contrary to popular belief, Google+ shares do not directly influence SERPs rankings. The study, which was conducted to prove Matt Cutts’ statement that more +1s lead to higher rankings, was conducted by creating baseline and test pages for three brands. Both pages were implemented with no links to measure how shares cause ranking changes in the most accurate way possible. The baseline pages remained untouched, while the test pages were optimized with long-tail keywords. The pages and their corresponding brand websites were observed over a month. Google+ shares were divided in two: one batch done earlier in the month, and another towards the end of the study. More Google+ shares do not directly cause ranking changes. The results did not show any material proof of causation between Google+ shares and higher rankings. Of the three brands tested, only two showed positive movement in rankings, but the movement only came long after the shares were made. The third brand did not show material movement at all. What about the studies conducted by Searchmetrics and Moz? It’s important to note that these studies were showing incredible correlation, not direct causation. What we mean by correlation is that while there may be an indirect, albeit distant, relationship between two factors, the first factor does not necessarily directly affect the second factor. In this case, it’s easy to trace back where the correlation between Google+ shares and higher rankings is – consumer behavior. The study shows that while the shares did not affect rankings directly, they did contribute to content discovery. 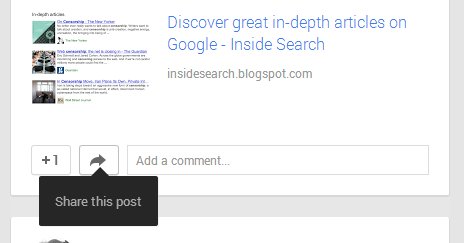 Google indexed content shared on the platform within six minutes, crawling it three times to verify the originality of the share source. The online audience still holds the power to rank these shared links. If the content is a linkable asset, readers will naturally share it to their network and possibly link to it on their websites or blogs. This is where the rankings really come from. Create relevant, unique, high quality content that engages your readers and offers information they need. Share solutions, tools, and other useful materials they can link to their network. Target your audience – when sharing, you can segment your readers according to the circles they belong to, allowing you to deliver customized content to different market groups. Remember that the rankings aren’t the end goal – getting loyal customers is your end goal. Share content that your audience wants to see, and the rankings will follow. Talk to us today to learn how our SEO white label solutions can help you maximize the benefits of this correlation. If you’re not yet our partner, sign up today to view our full solutions and get your own account manager. We’d be happy to help discuss your Google+ and online marketing strategy. Keep checking back for more updates and tips! How Do I Determine if My Company Needs a White Label SEO Partner?